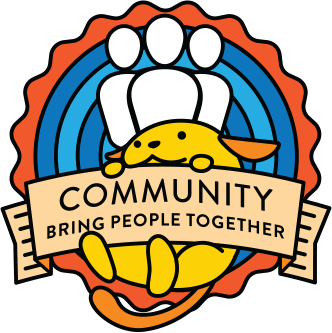 But this post is about the special WordCamp Incubator program, which is a bit different because is about helping to organize a WordCamp in a city of the world where there was not any WordPress community yet. Hey, I am talking about Meetup at North Greece. I met your on WordCamp Thessaloniki 2018. There is a long queue of applications in the list right now, so it will take us a couple of weeks to get to yours, sorry for the delay and thanks for your understanding Nikolaos! In December we focused on the budget and organising the next Meetup (which happened on January 5th, 2019). Community members worked on getting all the quotes and we had a few rounds of talks about the specifics – helping them understand and learn about what a WordCamp consists off – from venue, catering, WiFi, afterparty, and so on). I believe the community did an amazing job (as it is their first time) preparing the budget which got approved in the meantime. The community also organised its 5th Meetup with success, with a topic “How to build websites with WordPress”, where around 10 people learned about WordPress from setting it up to adding content. Meetup group now consists of 121 members and is getting stronger every day and now that we are finalising and (soon) announcing the WordCamp I sincerely hope we will continue to see this growth. Next meetup is scheduled for January 26th. This was a hard decision for me, something I tried to avoid for the past few weeks, as this is also the first time in five years that I won’t be actively involved with WordPress and its community. Though, I hope I will be able to come back at some point to help more. As I told you in private, you're always be part of the WP community, and I wish you the best in your personal side, we'll always be here for when you want to come back to get involved with the community.